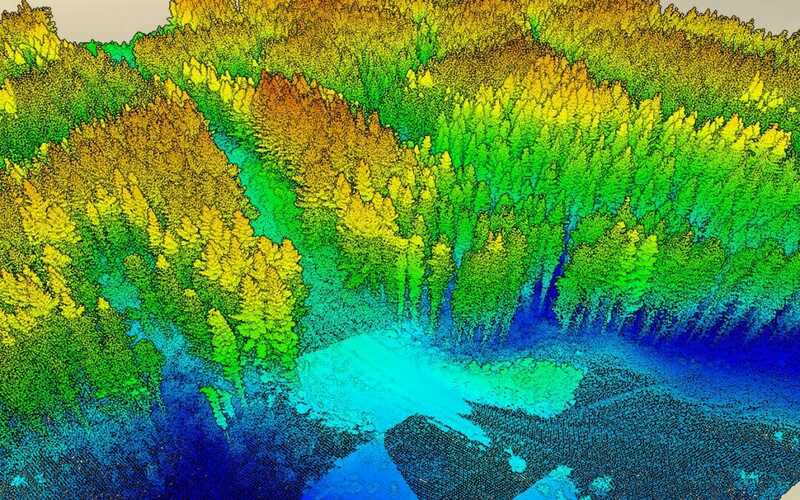 Seeing the #forest for the #trees, explore and #visualize #LiDAR in #3D of your forest and see how the #data provides estimates of forest #yield. https://goo.gl/cCwHaA Share this link with your teams and help foresters understand the ability of LiDAR to describe the standing forest in terms of recoverable volume and potential log quality. This is an example of the data quality which is now standard in terms of capture from airborne LiDAR across wide areas of forest in New Zealand and Australia. This 3D view is created with #Potree #LASPublish LAStools.